We offer a free initial enquiry to all prospective clients. Many mortgages are handled on a no-fee basis although we may charge a fee, particularly on smaller or more complex cases. If you are re-mortgaging, looking at buy-to-let, a first-time buyer or buying your next property, or if you require a commercial mortgage, just call 0345 013 6525 to speak to a mortgage specialist, or use the Contact Form to give the basic details of your enquiry and request a call-back. Why Devine Financial Management for mortgages? Buying a home may well be one of your biggest financial commitments. It can also seem one of the most daunting. 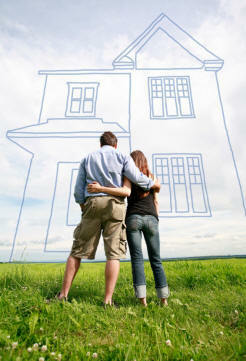 There are hundreds of lenders, and thousands of offers, to choose from. There are repayment, interest-only, endowment, pension-linked and ISA mortgages. These can have interest rates which are fixed, variable, capped, collared and capped, discounted, tracker or cash-back. With all this to compare and contrast, how can you be sure of making the right choice? The answer is to use Devine Financial Management Ltd.. Our highly experienced and skilled mortgage specialists will take the time to get to know your circumstances, objectives and preferences. Being independent, we really do research the entire market, using sophisticated I.T. systems, to find the most appropriate mortgage for you. The type of interest rate: variable, fixed, discounted etc. Whether your selected terms can be continued if you move house. For advising on mortgages we can be paid by commission, and/or a fee of typically £250. The Financial Conduct Authority does not regulate some forms of mortgages.